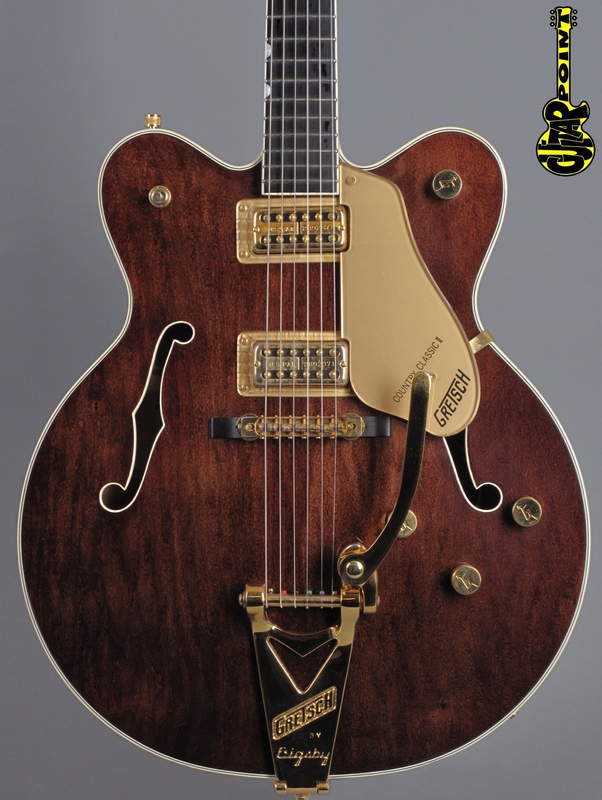 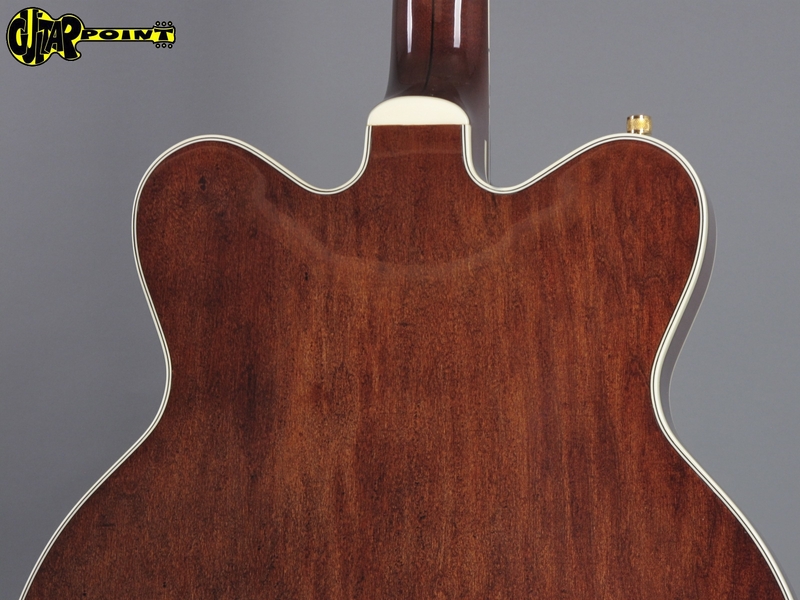 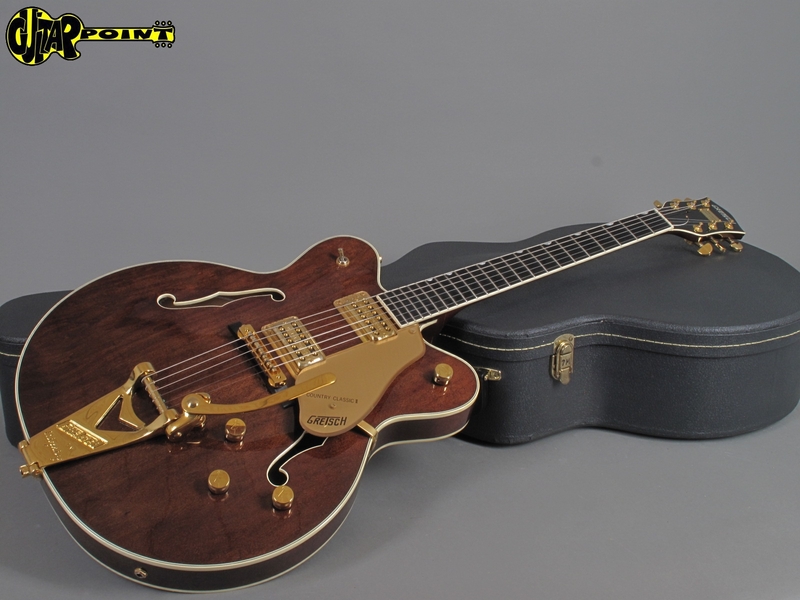 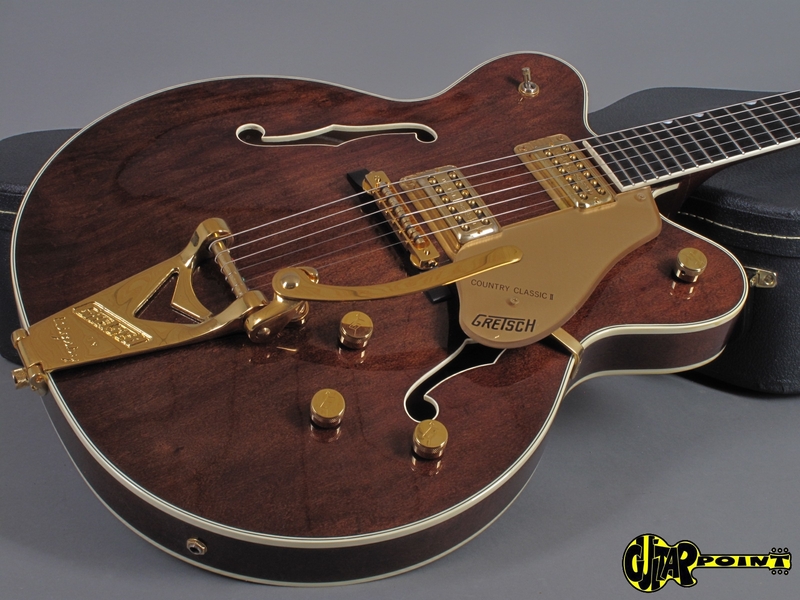 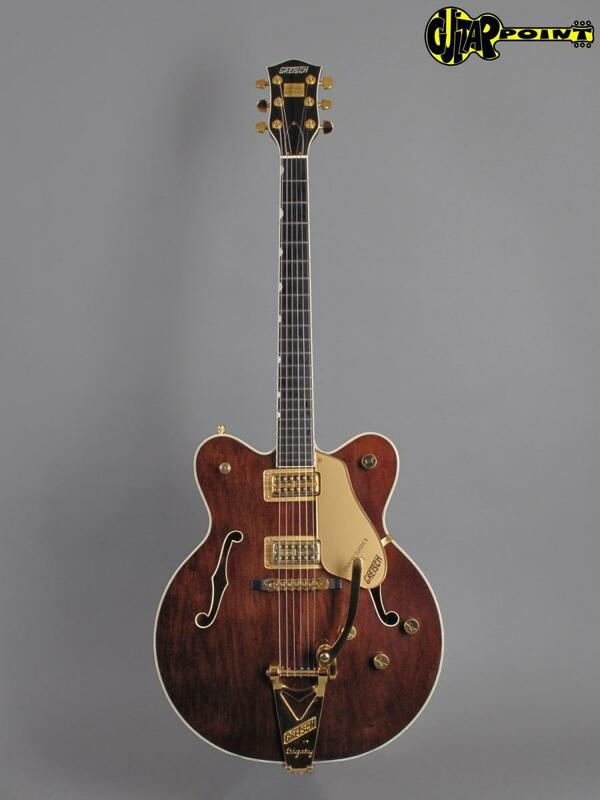 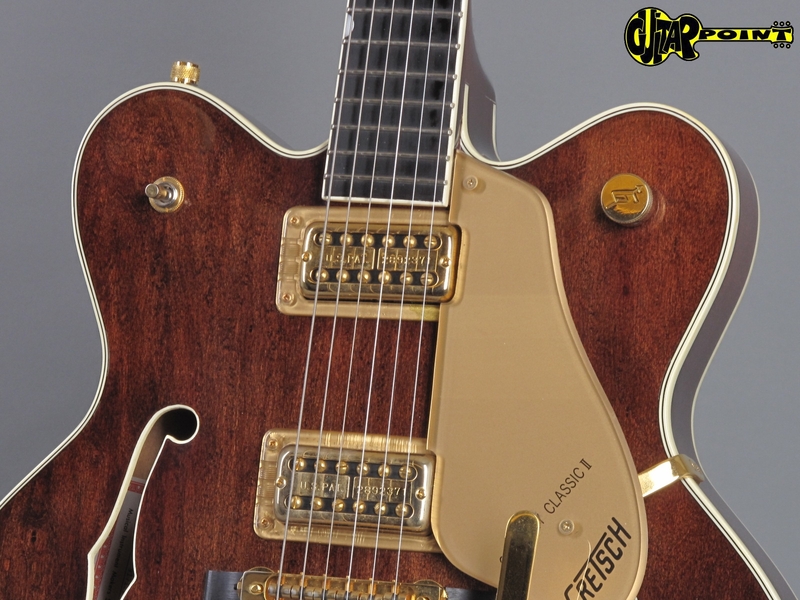 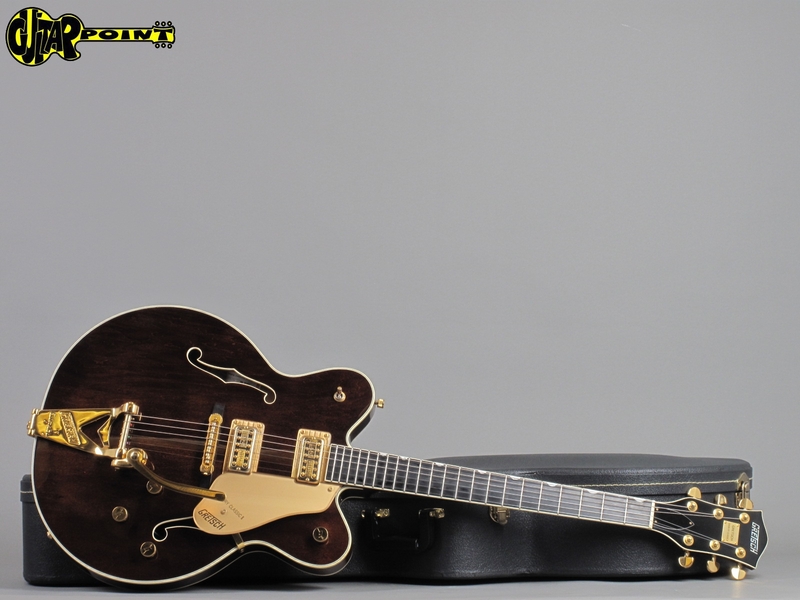 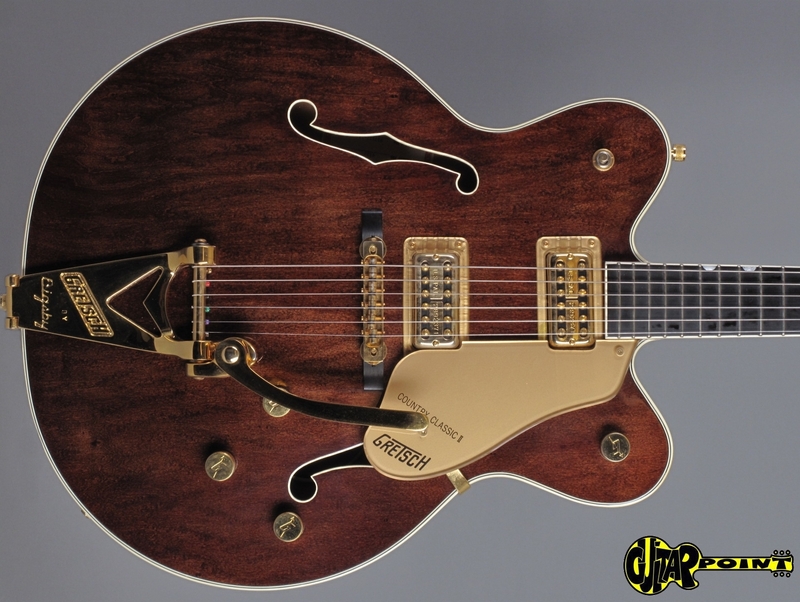 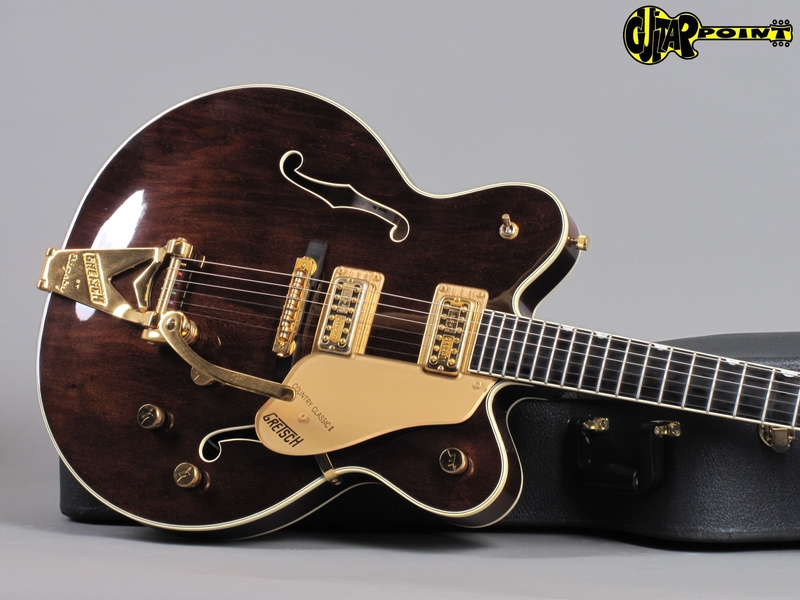 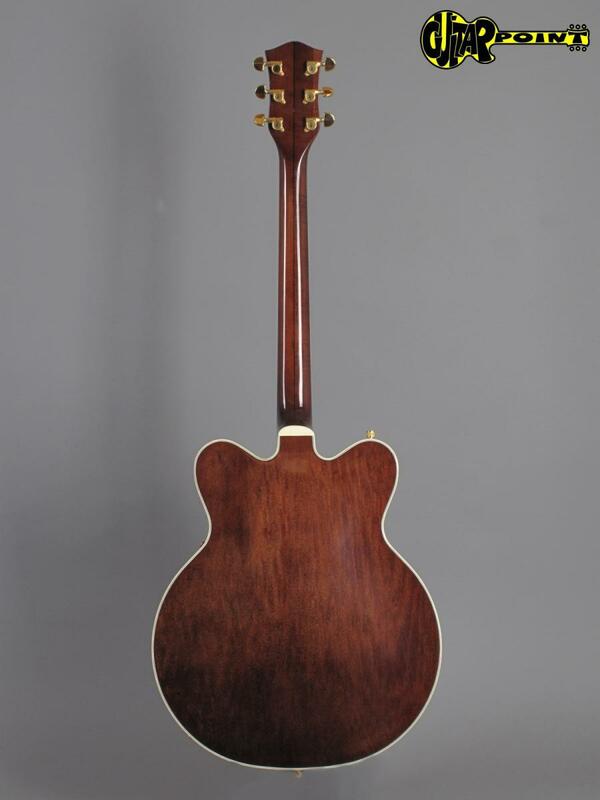 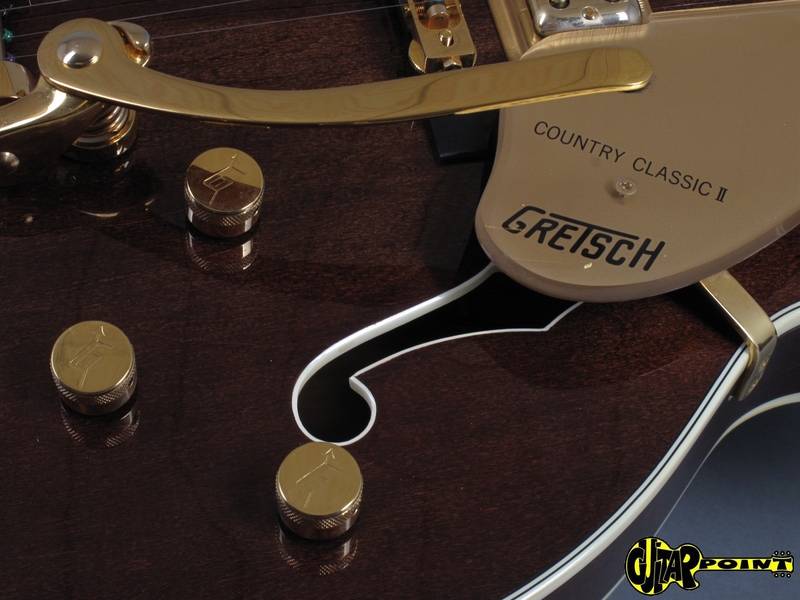 Outstanding clean 1991 Gretsch G6122 Country Classic II in Walnut finish, from a private collection. 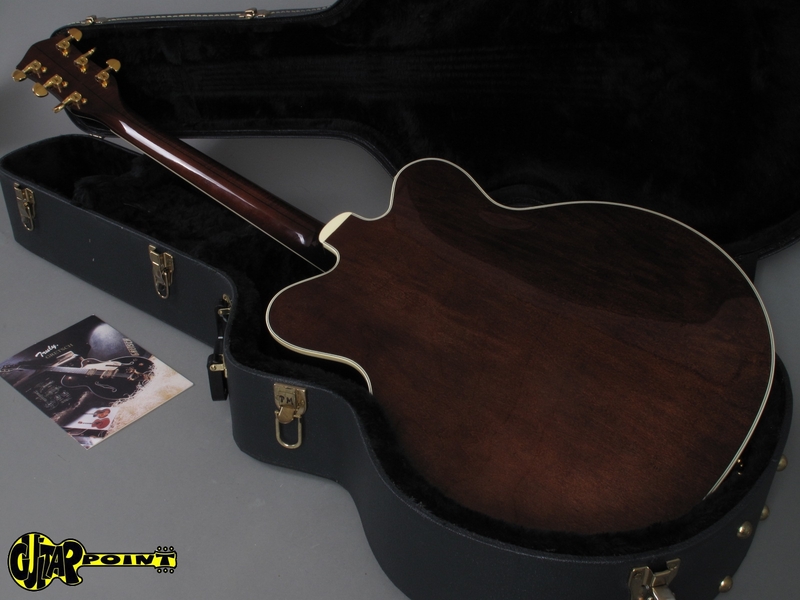 The guitar is all original and in near mint condition! 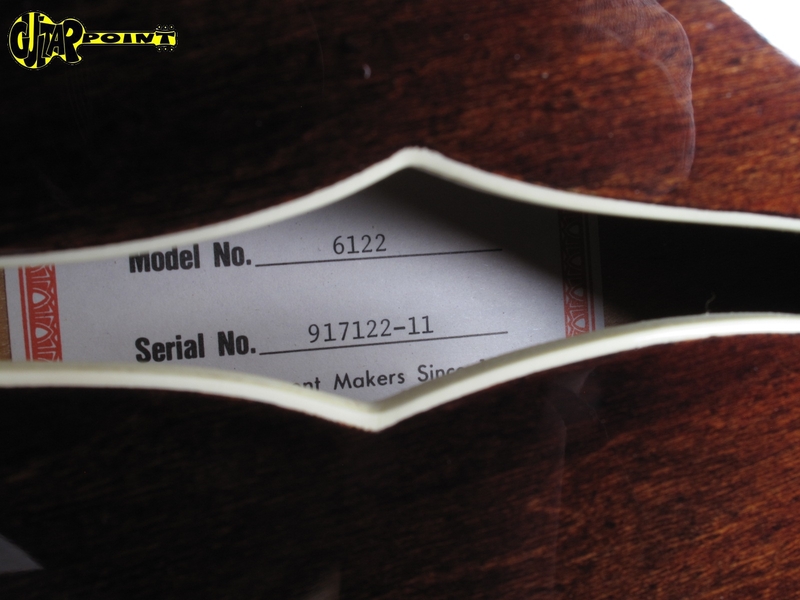 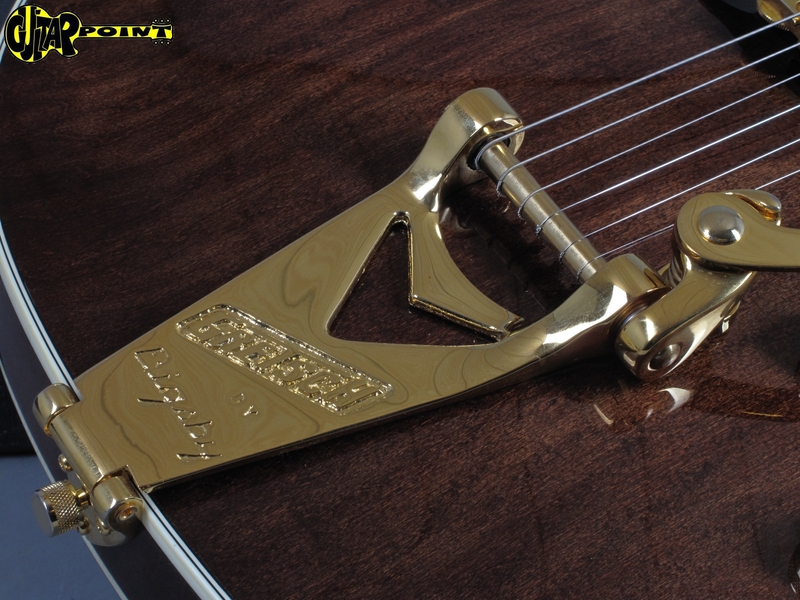 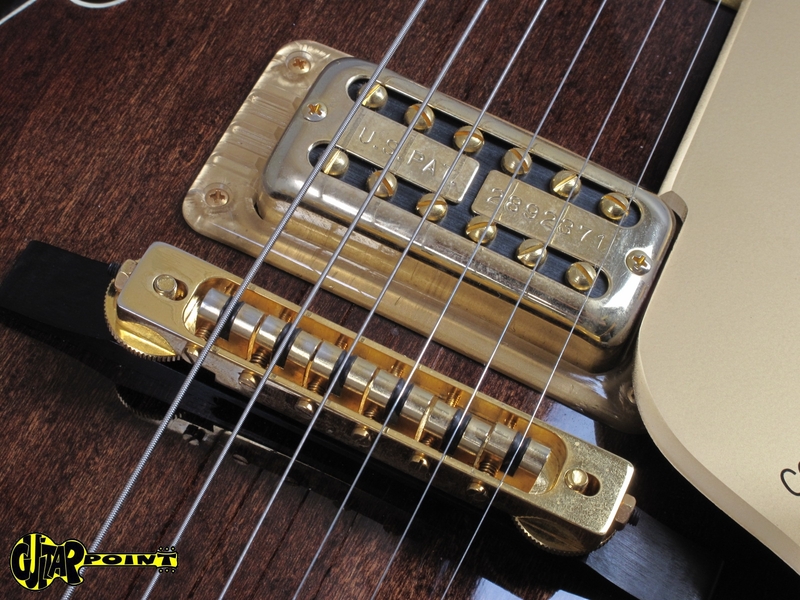 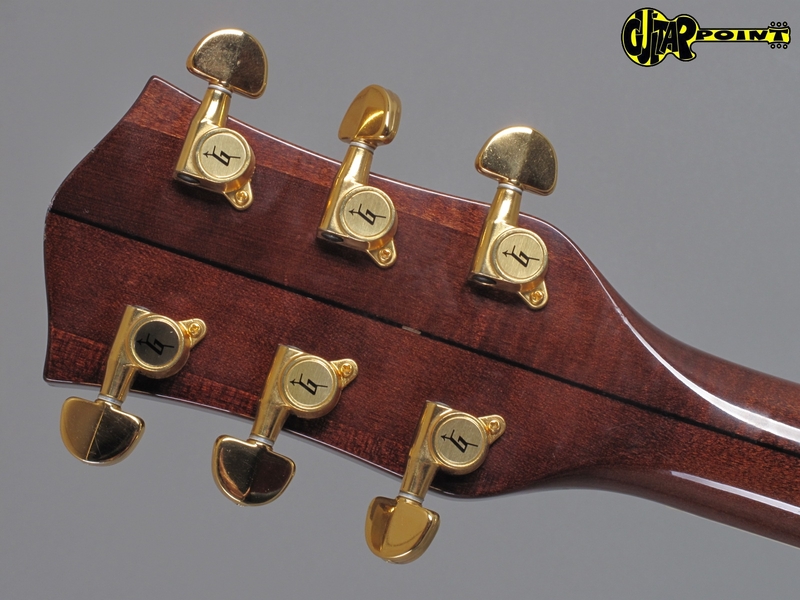 No dings or dongs, no weatherchecking, perfect binding, the original factory frets are still in perfect shape, the gold-plating of the hardware is also in near perfect condition. 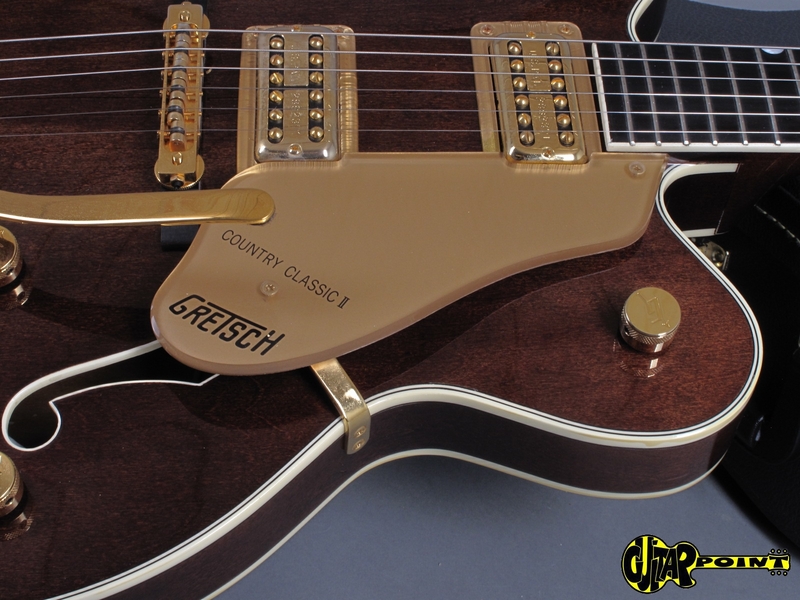 The neck is a medium-sized D-shape, which is very comfortable to play, original electronic with two great-sounding filtertron hum-bucking pickups. 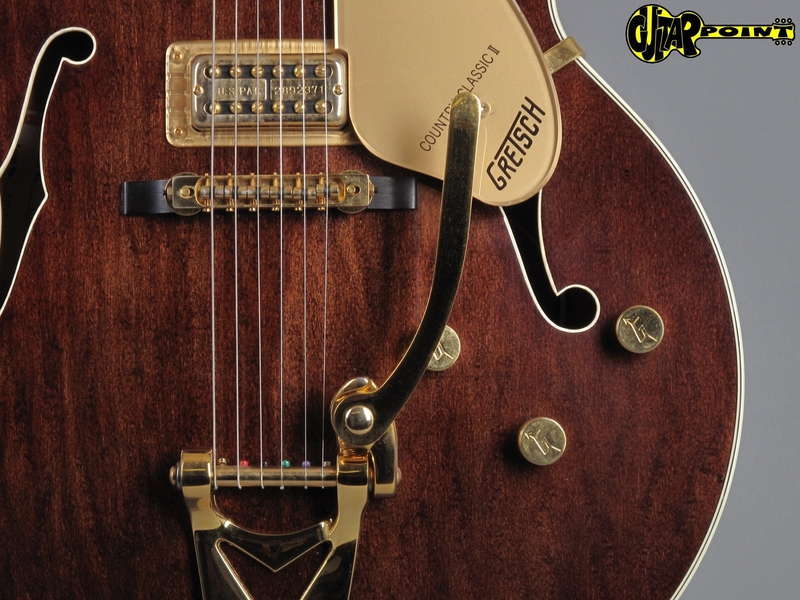 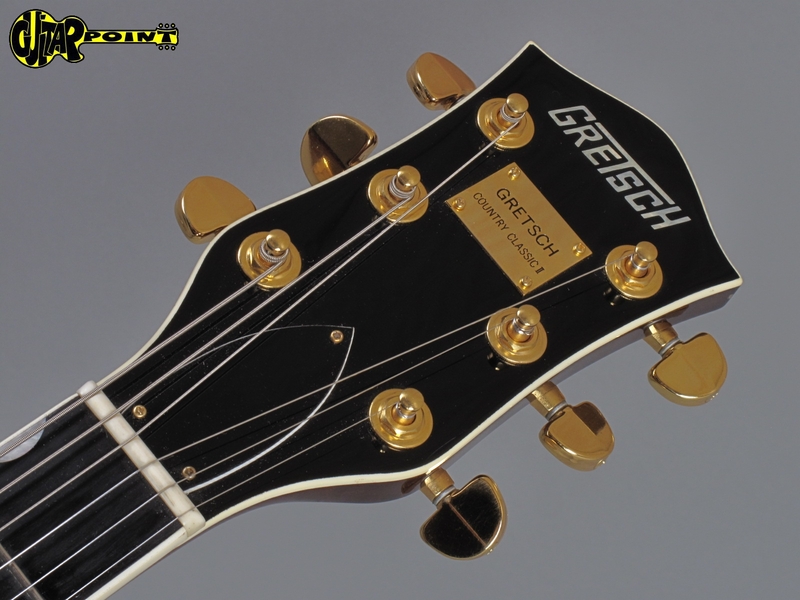 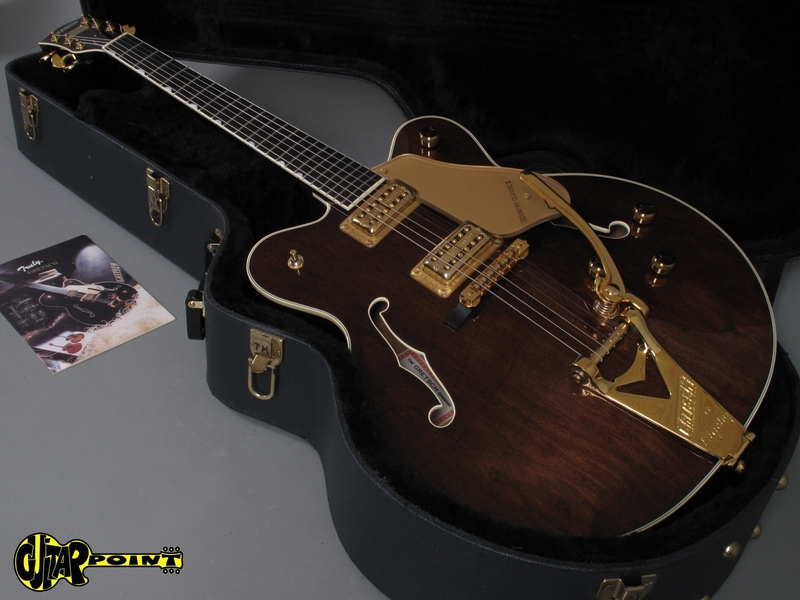 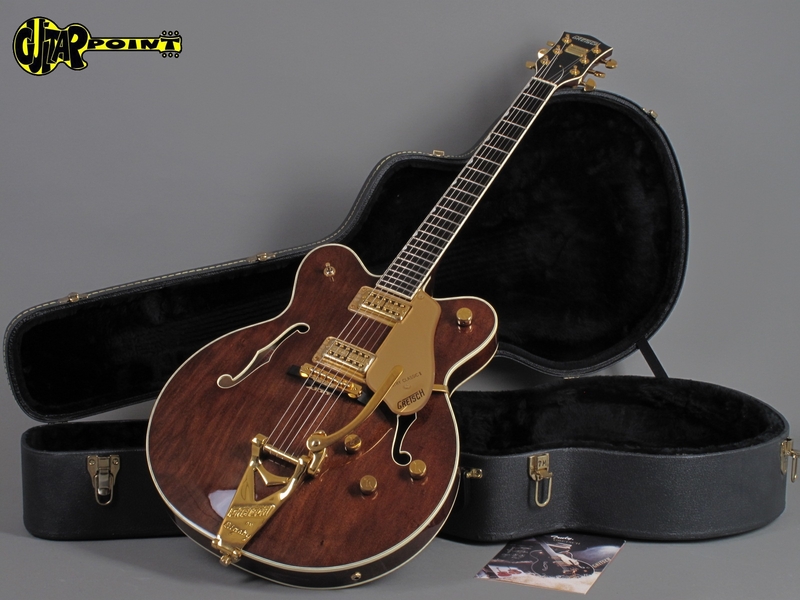 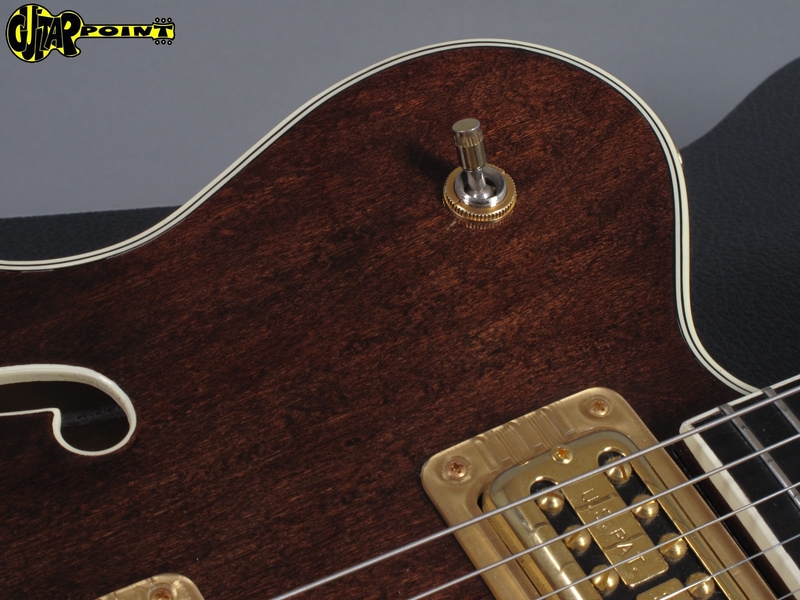 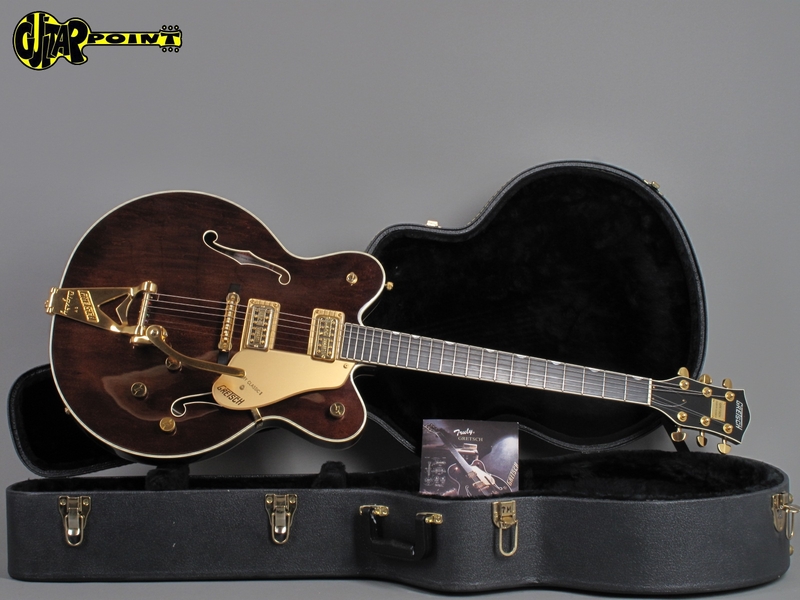 Gretsch guitars from that aera are known as some of the best crafted guitars, comes including black hardshell case.